Length: Up to 240 cm. These snakes generally reach a length between 160 and 190 cm. A resident of lowland and hilly areas up to a maximum of 750 m above sea level. 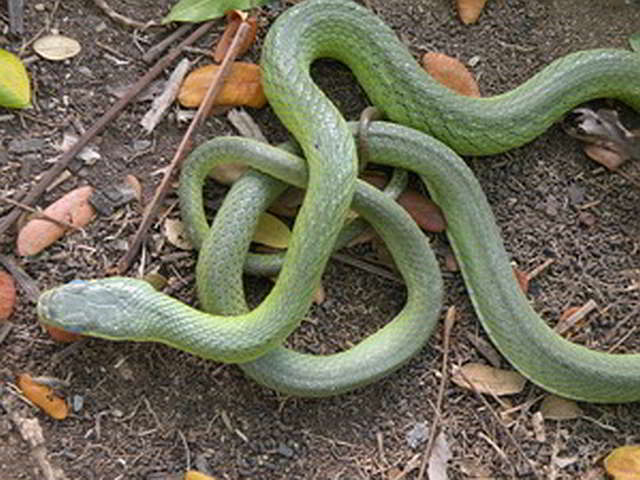 This snake is active during the day and generally lives in trees. It can be found in primary forests, agricultural land, mangrove forests and park areas. If they feel threatened or aggravated, they move their blue coloured tongue slowly up and down. 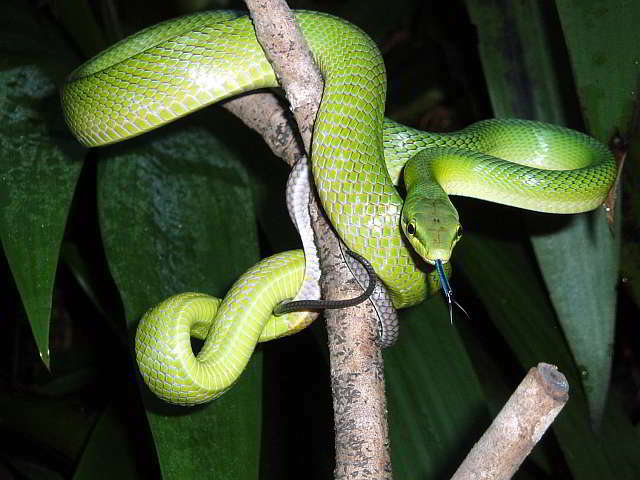 Gonyosoma oxycephalum preys on rodents, birds, bats and lizards. All data is provided without guarantee!